It feels a little like a cheat to call this a recipe as there's only three ingredients and it's so easy, anyone could make it. Anyway, Josh's gran introduced me to dump cake when she handed me a tin of peaches and a packet of sponge mix one day and told me that it made a lovely desert. Of course I had to go straight home and try it out. As the name would suggest, you just dump everything in an oven proof dish and put it in the oven! It's that simple. This can be made with any fruit at all but I used peaches. I told you there was nothing to it! You can serve the cake on its own or with cream, ice-cream or custard. 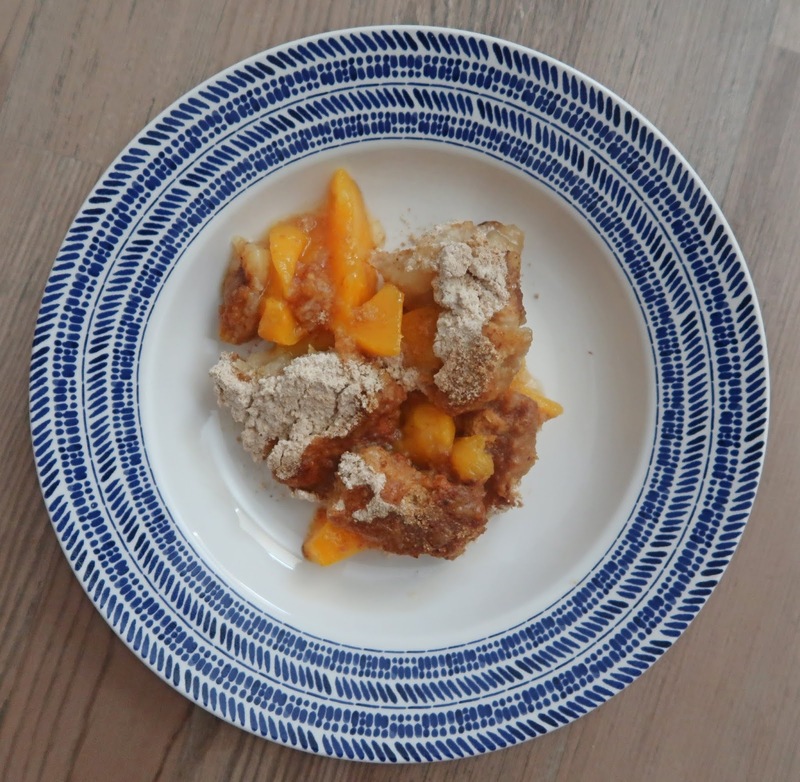 It makes a kind of crumble topping and is so delicious because the topping hasn't been made into a traditional sponge though it feels you up very quickly, so you'll probably need a slightly smaller serving than you'd expect. The cake makes around 4-6 portions depending on portion size and served on its own costs around 15p per portion for 4 servings or 10p for 6 servings. I used Asda Smartprice products to keep the cost super low. This is such a simple and extremely cheap recipe to make whilst still been super tasty.